She gets gooseflesh remembering the night her father passed away. She was just above seven. While the world and people around her broke down with the sudden sorrow, she sought refuge in her drawing book. “I painted till the crack of dawn, the colours cutting out the chaos and cacophony. I couldn’t process much of the events but there was a dull wound piercing through the heart. I had come back from school. He was being rushed to the hospital after a sudden cerebral haemorrhage. He went peacefully, in his sleep. But a storm brewed in my heart. 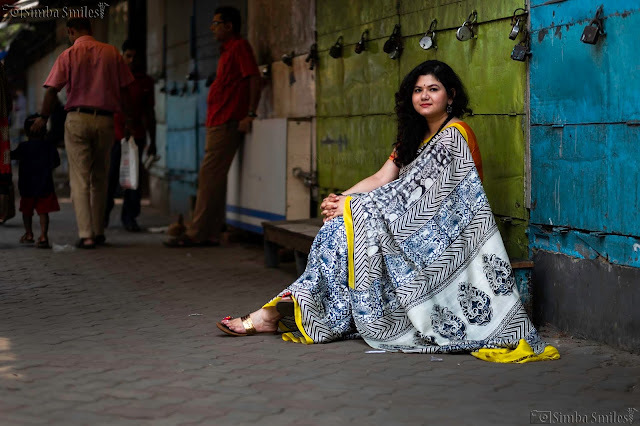 I expressed my feelings through swift brush strokes albeit in dark colours,” recalls Saumi Nandy as we meet up in her Calcutta studio called Roong, a hub of exquisite saris, dupattas and artworks. There is bric-a-brac for homes as well. The common denominator in all of them is a display of Saumi’s art. Art inspired by her experiences, travels, insights and thoughts. 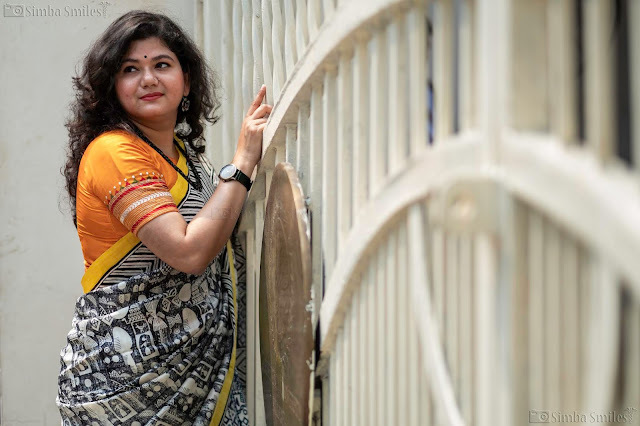 Introduced to the wondrous world of books by her father, Saumi recalls how he indulged her with paintboxes and crayons. Once he was gone, everything changed. “There was no financial upheaval as such. But emotionally, my universe started crumbling. My best friend was no more. There was this psychological turbulence within that I couldn’t explain. So, I painted. Day in and day out. 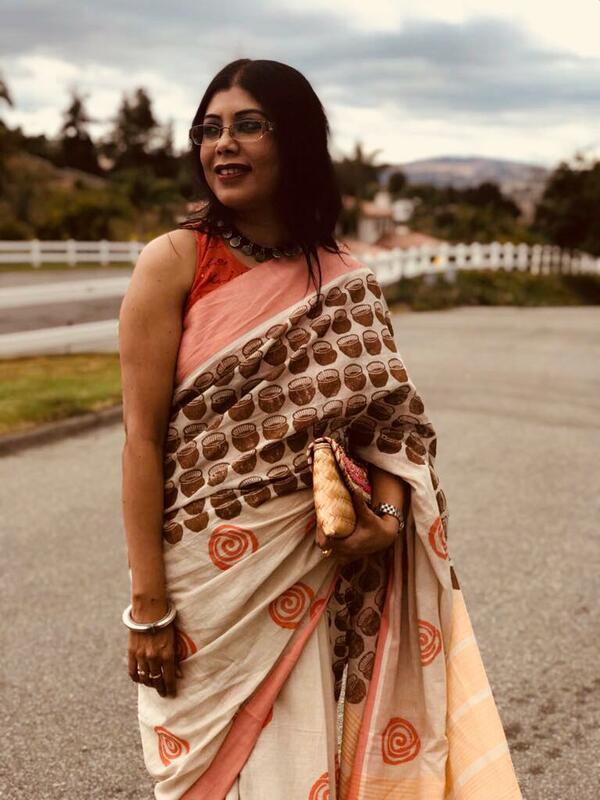 All that I couldn’t express through words, I cried out through my art,” says the Kolkata artist and designer who also has a boutique in Irvine, California. Seeking refuge in her art, soon Saumi recognised her ability to emote through drawings, etchings and colours. She decided early on that she would always paint. “When I go through my early works, I notice a lot of rancour in them. Dark colours and bold strokes. Somewhere there was this confusion, anger and sorrow that was eating into me. But with time, I started mellowing. The art also changed. I wanted to see life in a more positive perspective. After all, everything was not over. I wanted to introduce love into my work, an emotion that drives humanity, no matter what the form is. I believe that the universe is made up of stories. It was time to tell mine,” she says. In 2013, the artist got involved in various social activities and by divine design started teaching art to children who were HIV positive. It was a cathartic experience for her. “We often hear of art therapy. This was something like that for me and the children. 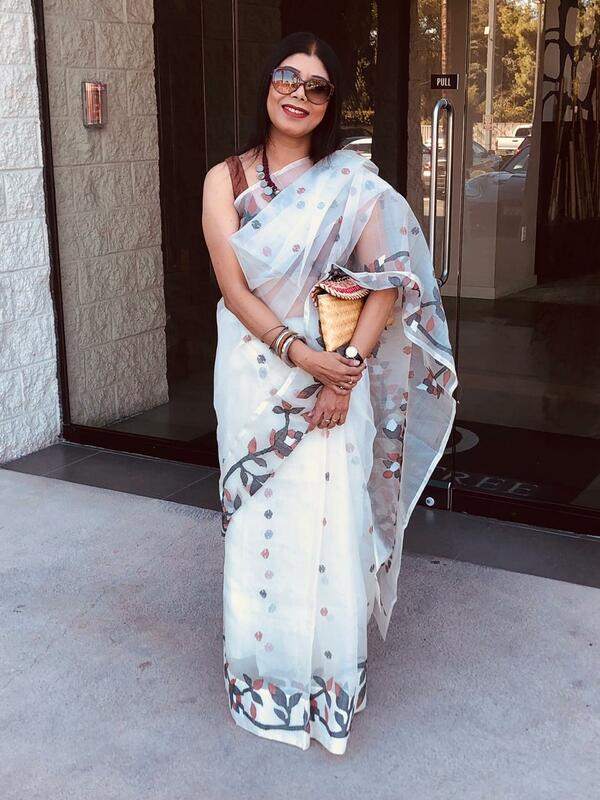 Then again at Alipore Correctional Home and Chino Hills Correctional Facility in California, I interacted with several women who went through healing with art. We were helping each other. My inner demons were being slayed, too,” she explains. A near-death ailment in 2010 taught her the value of life and colours. “My canvases started becoming bright. I felt I owed it to myself. And all through the years, I kept coming back to Kolkata to derive nourishment. Everything about this city stirs my soul. I discover beauty in the everyday pandemonium. Little things that stick on in my mind. Like the crow, the yellow taxi. It surfaces in my art. Inspired by Mondrian and Warhol school of art, some of the lithographs and sketches also depict Kolkata and its signatures in that tone. While all this was happening, I wanted to expand my realm and launched Roong, to pay a tribute to the colours of life in all its forms and aspects. I entered the universe of fashion,” Saumi recalls. There is a quirk element in her work. “That’s the fun part of Roong. It talks to you, tells you tales. 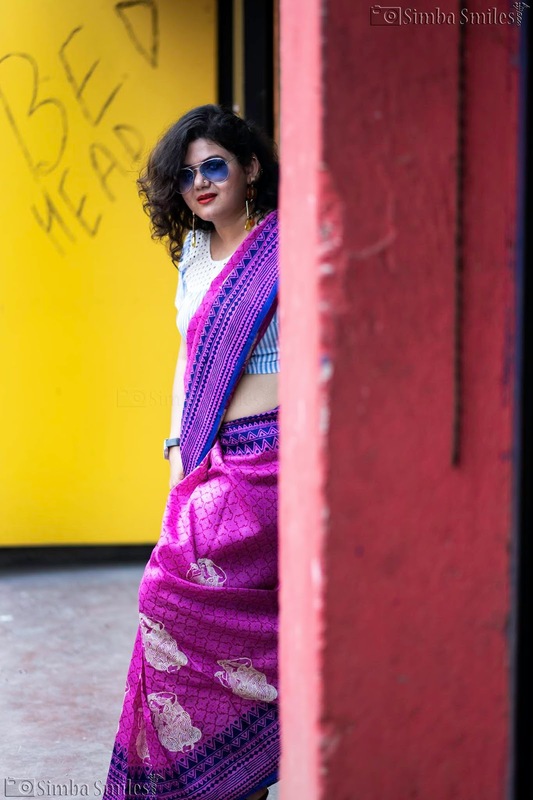 With a Roong sari, you can go berserk with styling. It’s bold, beautiful and fresh. Many complain that my designs are not for parties. I just let them be thinking that their aesthetics aren’t evolved enough. Some women do not want to experiment or get out of the conventional thought process. Roong is for those who fancy an adventurous flight. Because, what is life without that!” she quips. 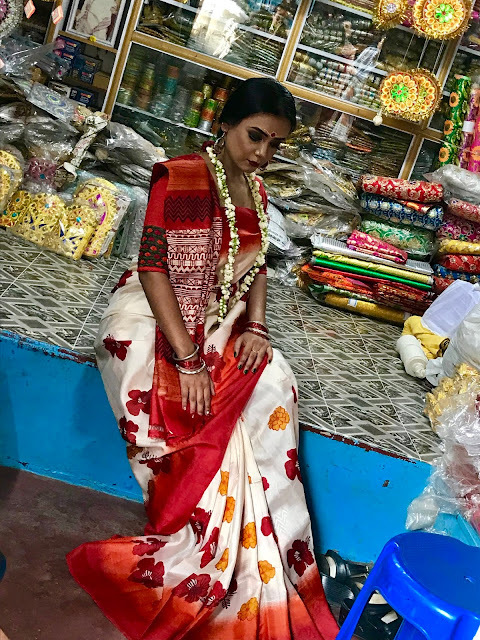 Constantly dabbling in fresh motifs and designs, Saumi says that Roong has given her a purpose. “I had met a woman at one correctional home who painted. Her art was dark, angry and gloomy then. I met her again last year. She is now a practising artist. I noticed her work had changed. They were happier. I knew she has found her peace. Roong is like that for me. I have birthed this baby. There is hard work involved in its growing process. But I take heart from the fact that the colours have calmed me down,” Saumi ends with a smile, as her hand reaches out to show us a gorgeous pure silk sari hand block printed with motifs of the hibiscus and the marigold.